Coachella Valley Real Estate Sales: What’s been happening the past 6 months in the desert valley as far as real estate sales go? Turns out that according to Marketwatch, sales have been stable at an average of 700 units a month for over a year. Sales appear to be slowly increasing. Not all 9 of our desert cities have higher sales. Six cities have higher sales than a year ago, and three have lower. For your personal property evaluation, give me a call at 760-285-3578. The City of Coachella continues to have the best year over year return, 22%, followed by Indian Wells and Desert Hot Springs. Why Coachella?? Well, my personal opinion is that the Music Festival is firmly entrenched in our Valley from East to West. 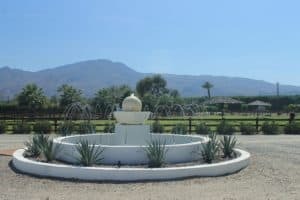 Coachella though has HUGE short term rental potential for almost every property, whether it’s a single family residence in a gated community, non-gated, and especially for those 1-5 acre estates. In a closer look at the stats for the City of Coachella, (per MLS), January, 2019 saw 3966 homes for sale, by February, there were 4041, a change of inventory of 1.9% higher. COACHELLA SOLD Homes: In January, there were 664 homes sold, and in February, there were 724 homes sold, a 9% increase, BUT we are still down approx. 14% from the same months last year. COACHELLA HOMES IN ESCROW: January saw 786 homes in escrow, but by February that number for Coachella had increased to 904…an increase of 15% for 2019, BUT still down 2.3% from one year ago. Current sales VS. sales from that same quarter a year ago shows a decrease of 17.2% drop in SOLD homes and a 9.3% decrease in homes in Escrow. Sales HAVE slowed throughout the valley. That means to me that our local market is swinging slightly from a sellers market which we’ve been in the past several years to a Buyers’ market, meaning there are going to be some reductions. If you’re thinking of buying, this is going to be a good year for you. 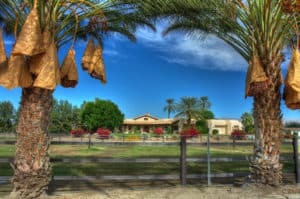 Take a tour of this gorgeous property for sale in La Quinta at the Citrus Club..